Thanks for all the media and press we are receiving about our Kickstarter campaign! Big thanks to Dave at ClassicCarCuration.co.uk for the wonderful article about my art! Click on image to read. Thank you to Caroline of ChicMoto.com for the wonderful article! Click on image to read the whole article. Big thanks to Alex Sobran of Petrolicious for the article about our Kickstarter project. Click on image to read story. Thanks to Lis Smith of DecorGirl.net for her post about our Kickstarter campaign. Click on image to enjoy the interview. Big thanks to Mark Greene for Bill's second podcast on CarsYeah.com. Had a great time talking about cars, art and our Kickstarter campaign. Click on image to listen. Thanks to ECURIE for blogging about our upcoming Kickstarter campaign. Click on the image to visit the blog post. (French) noun; meaning stable or team. A word that is synonymous with the history of motorsport. 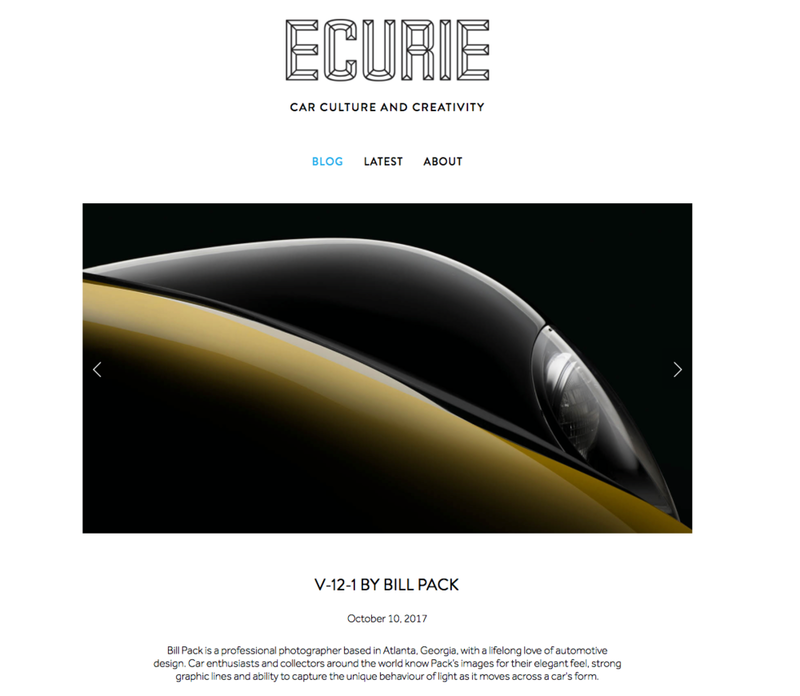 Ecurie has been created to explore and celebrate the best of car culture and creativity. Showcasing all aspects of design, photography and art through to iconic cars, past and present, from both the road and track. Here at Ecurie we try to bring all that together in one place for you to enjoy. For updates you can follow us on Facebook, Twitter and Instagram, or if you have any ideas or suggestions for content you'd like to see on Ecurie, email us using the link below.